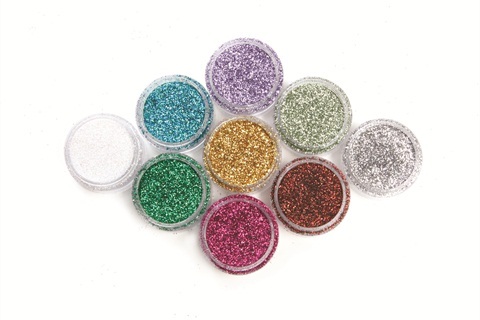 Glitter is tiny flecks of colored and reflective plastic used in the nail industry for its lustrous and luminescent effect on nails. It varies in shape, color, and size and is applied to nails using glue and top coat or embedded in gels and acrylics. La Palm introduces six gel-polish shades full of flash.